Home / Shop / Brands / Star Trac / Star Trac EBT Commercial Elliptical. Call Now For Lowest Pricing Guranteed! The Star Trac EBT total body trainer is an elliptical machine that not only targets the lower body but the upper body as well. It has entertainment features that will keep exercisers engaged while they are working out, and its 15 inch viewing screen displays workout statistics to keep users motivated during an exercise. With 20 levels of resistance, this elliptical trainer should give users workouts of different intensity. 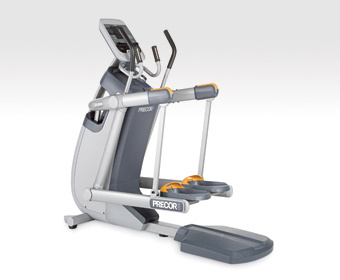 It also features Star Trac’s SelectFit technology and eight workout programs. The Star Trac EBT shares many similarities and differences with another Star Trac elliptical trainer, the Elite Commercial Elliptical. One similarity is their pedal spacing of 17.5 inches. Another commonality between the two elliptical trainers is their 20 levels of resistance. 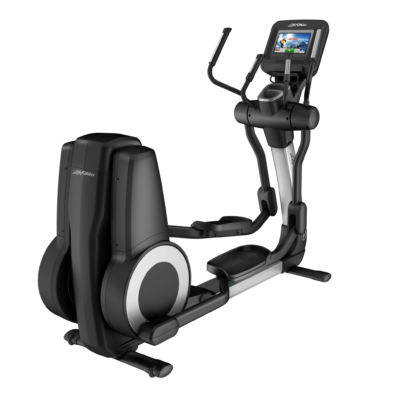 Both the EBT and Elite Commercial Elliptical also have the same dimensions, with the EBT just one inch taller than the Elite Commercial Elliptical. 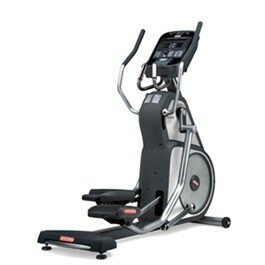 The Commercial Elliptical and EBT also have additional features like cooling fans and integrated audio connectivity. And both trainers have eight workout programs. The step-up height of the EBT and Elite Commercial is five inches. Finally, both the Elite Commercial Elliptical and EBT can accommodate exercisers weighing as much as 350 pounds. Indeed, the EBT and Commercial Elliptical are almost mirror-like images of each other. The only glaring difference is that the EBT is a few hundred dollars more expensive than the Elite Commercial. 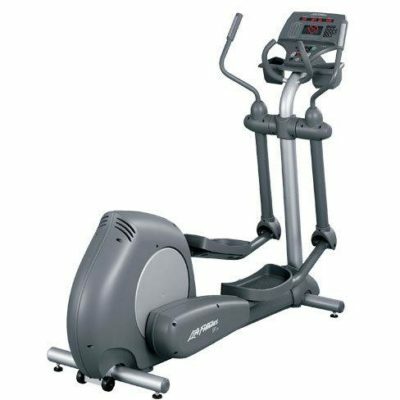 Still, the Star Trec EBT is a solid elliptical machine with great and user-friendly features.